Chances are, your temporomandibular joint (TMJ) is not a part of your body you give much mind to until it’s hurt. Your TMJ is the joint in your jaw responsible for attaching your jaw to the bottom of your skull. It is surrounded by muscles and connective tissue that operate the joint, which results in the opening and closing of your mouth. When one of these tissues or the joint itself is damaged, you experience pain in your TMJ. In severe cases of TMJ pain, you may notice severe loss of mobility in the jaw or extreme pain. If the pain persists or recurs frequently, you’ll want to visit a professional for treatment because it may be the sign of something more severe, like arthritis. However, TMJ pain that is minor or temporary may not need healthcare assistance. In these cases, you can benefit from a few simple home remedies for TMJ pain. Ice and heat — When you first begin to notice pain in your jaw, you can apply some ice to the jaw. Do this for a few minutes two or three times a day to help reduce any inflammation that may be causing pain. Wait a day or two before applying any heat because, although heat soothes pain, it can make inflammation worse. Softer foods — Choose more foods that are soft and easy to chew. Avoid foods that are crunchy, chewy or hard. This should help reduce the amount of pain you experience while your jaw recovers. Rest — You can relax the muscles in your face to help reduce the strain on your jaw. Find a comfortable place to sit and allow your lips and teeth to relax apart, almost as if your jaw is hanging loose. Focus on breathing deep and slow and close your eyes and visualize positive thoughts to help promote relaxation. Exercise — Talk with your healthcare provider or a physical therapist about exercises you can do to help recover jaw function and reduce jaw pain faster. Sleep on your side — Sleeping on your side can help give your jaw more rest at night and avoid any clenching or hanging open in painful positions. The physical therapists at Advent Physical Therapy can guide you through exercises, stretches and motions that can help reduce pain in your jaw and restore its strength and functionality. 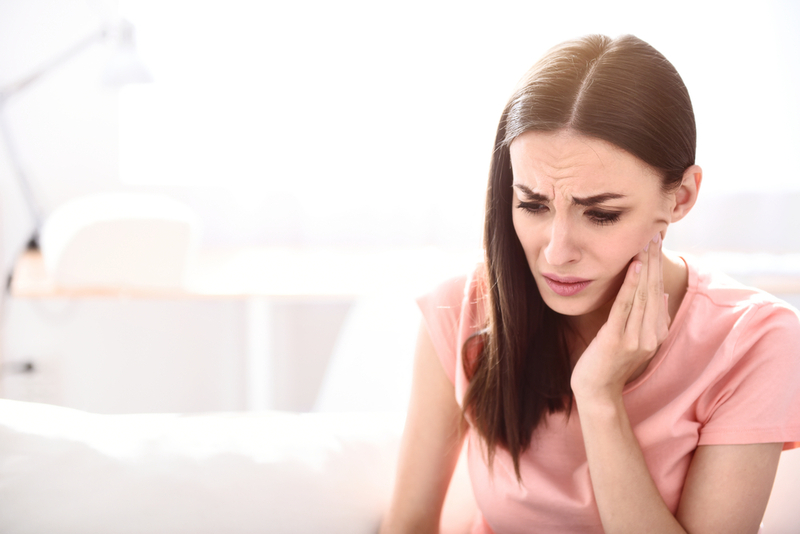 Contact us today if you’re suffering from TMJ pain and would like one of our licensed team members to help treat your condition.